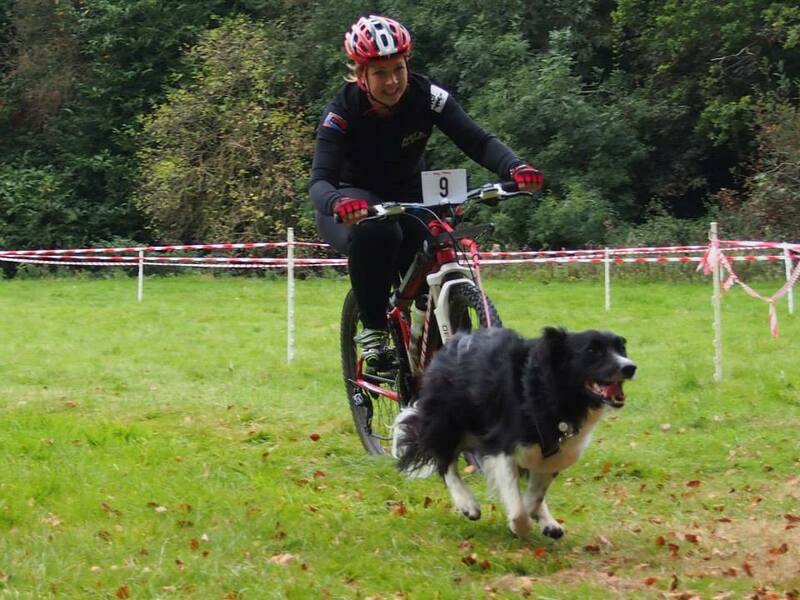 United Canine Sports Club Training Weekend, Hicks Lodge, Leicestershire, 4th & 5th October – The first weekend in October was dedicated to a training weekend organised by the United Canine Sports Club at the Hicks Lodge Cycle Centre in Leicestershire. We went along to help people who are new to the sports gain an insight into Canicross, Bikejor, Dog Scootering and Dryland Mushing. There were organised talks both days and an opportunity to run the dogs on the Saturday evening and early Sunday morning. The weather (yet again) was very warm for October and Saturday nights’ run was bordering on too warm but the temperatures dropped overnight and Sunday was almost frosty, dry and perfect for running the dogs round the dedicated mile loop. The event was, in my opinion, a great success, with lots of people coming away having learnt from those who have been participating in the sports for a number of years. I think we need more training weekends like this in the UK and was glad to have been part of two organised training weekends before the racing season really kicks in. 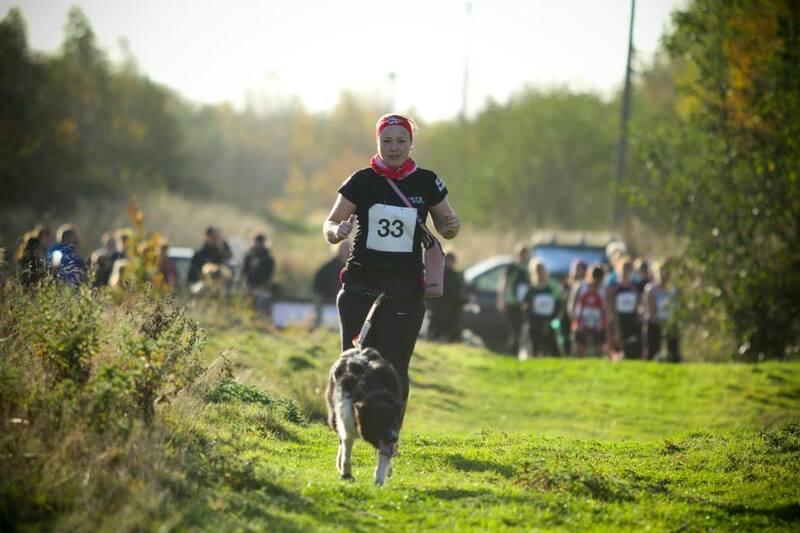 Hicks Lodge Dash, Leicestershire, 19th October 2014 – This one-off race was organised in conjunction with Canicross Midlands, who have really added to the 2014/2015 race calender with a race series and a couple of stand alone events, this being the first of the stand alone events. I know I keep going on about the weather but it was another warm day for dog racing and so I knew it was going to be another plod around for us. In spite of this I really enjoyed the route, as it took me on paths around this National Forest Park which I haven’t seen used in previous races we have attended here. 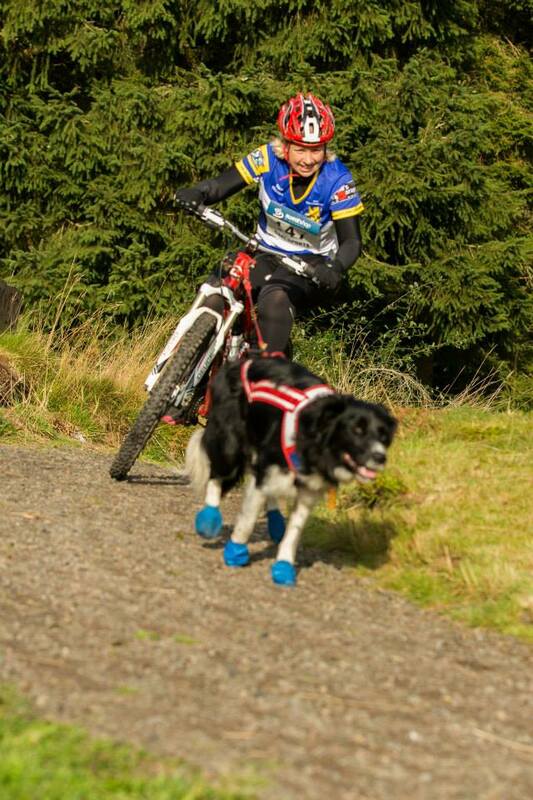 Most of the paths are designed for easy wheelchair and pushchair access, however the race organisers took us off the beaten track a little and this made the course much more dog-friendly and interesting as a result. Cotswold Canicross Training Runs, 11th, 15th, 25th & 31st October – At home for a couple of weekends, I took the opportunity to arrange some local group runs with Cotswold Canicross, the group I run when I get the chance! We are lucky to have some lovely trails close by and we are particularly fond of some routes around the Cotswold Water Park, which give plenty of natural water stops for the dogs. 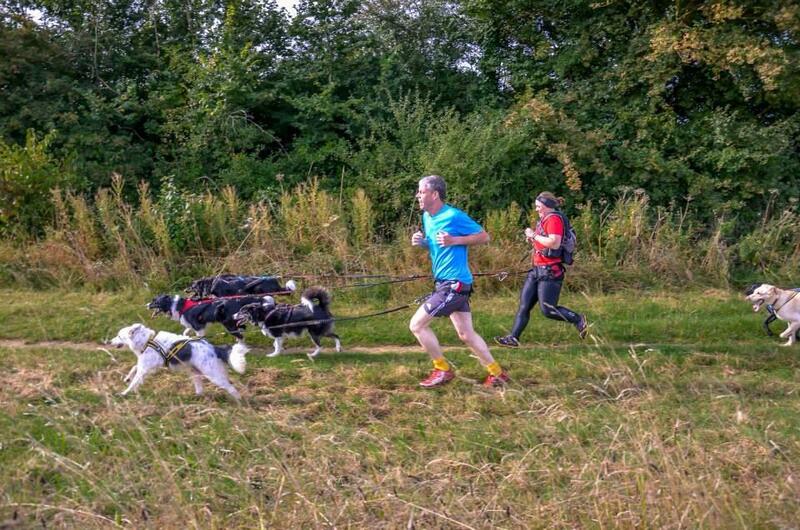 I find that participating in group runs gives my dogs a relaxed way to socialise and any novice dogs, new to canicross, seem to pick up the idea better when in a group. 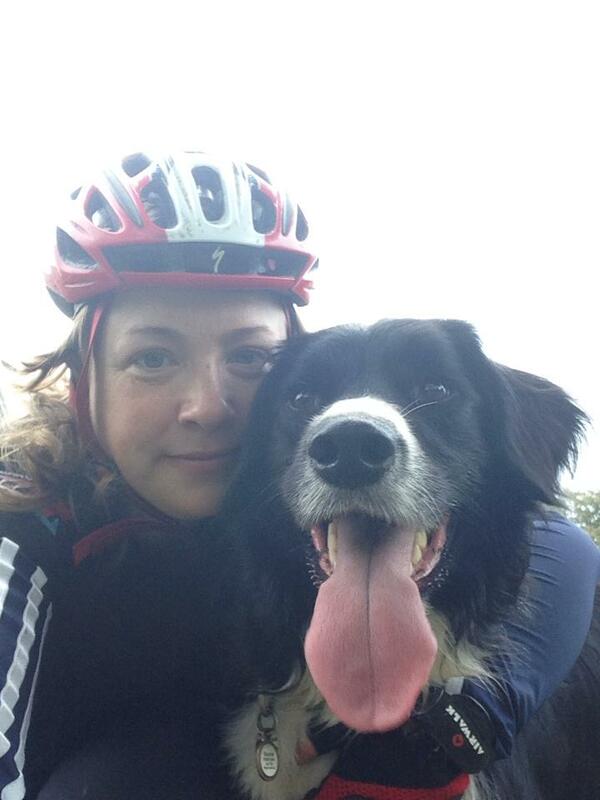 I really enjoy the local canicross runs and often wish I had more time to organise them but there just aren’t enough weekends in the year! http://www.doughnutdash.org.uk/info/) in aid of Kidney Research UK. The organisers had some medals left over and so had set up a virtual event for people to take part in, all you had to do was arrange your own Doughnut Dash (run 5km eating a doughnut after every 1km before continuing) and document it with photo evidence. Needless to say this sounded like the challenge I was up for, so we picked a venue with a 1km lap to allow us to return back to the cars easily for the doughnuts. 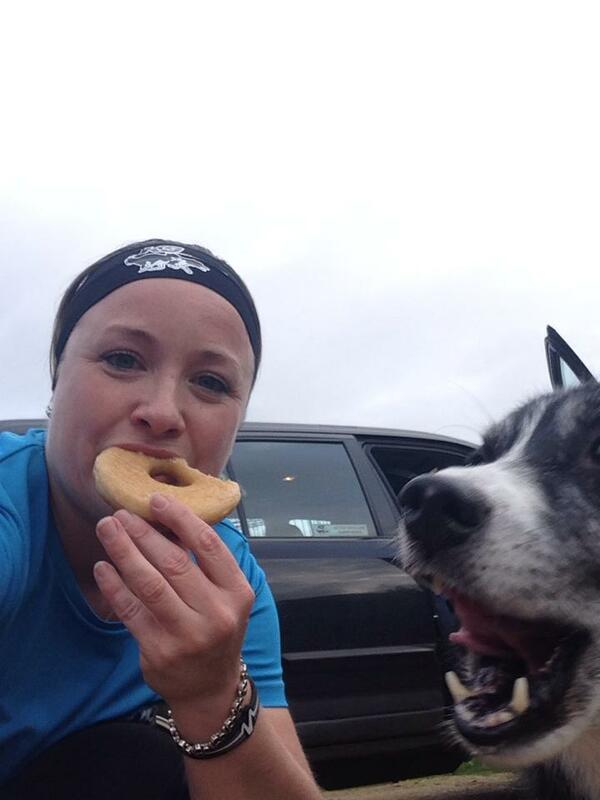 The dogs were all a bit bemused by the sight of us stuffing our faces with doughnuts and none for them! We completed the challenge, some more easily than others, and I’m glad we gave it a go as it was fun to do something a bit different but I won’t be eating doughnuts for a while now (maybe that’s a good thing!). So to conclude Octobers Race Review, I would say the warm weather held us back again in the one race we made it to, although I think the opportunity to do a bit more training and socialise wasn’t a bad thing. It’s really important sometimes to mix up the training that you do, so I think that by doing a few longer runs at home, building stamina, this will help the dogs (and me) when we finally get some weather cool enough to compete in. 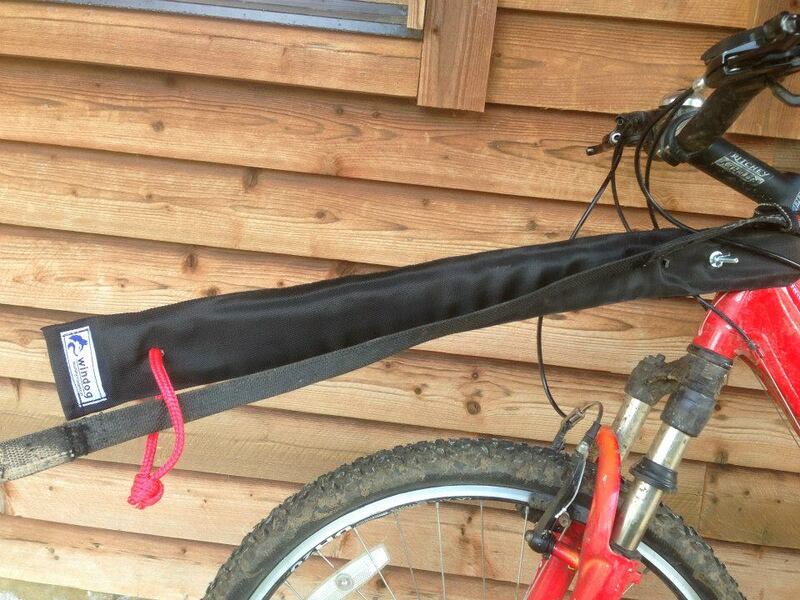 Bikejor Attachments – Which one for you? With so many people starting to take an interest in the sport of bikejoring and not knowing where to start with what to look for in a bikejor attachment, I thought I would write a quick blog to highlight the features of each of the attachments we sell here at K9 Trail Time. 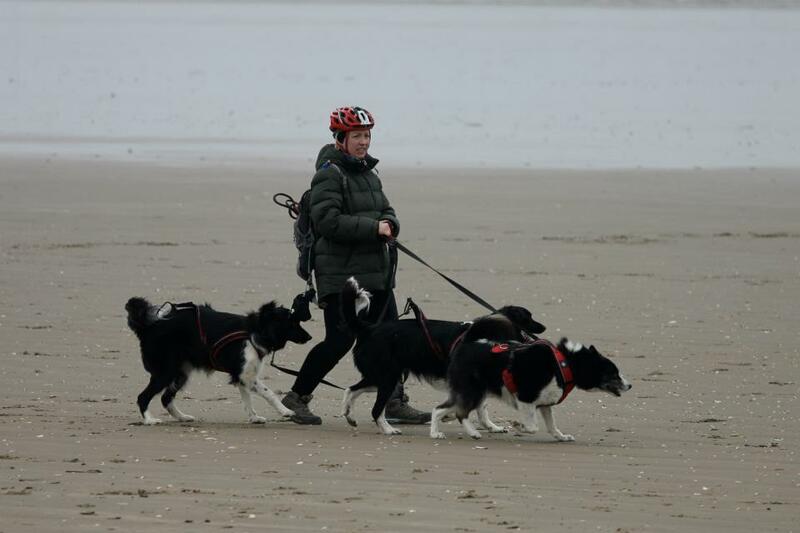 The purpose of the attachment for bikejoring is only to help keep the line away from the wheel and the bungee lead you use to connect to your dogs’ harness must always be wrapped around the main headset on the frame of the bike. Never fix the line to the end of the attachment or to your handle bars. The attachments are not designed to take the weight of the dog pulling and if you attach your line to the handle bars you risk the dog pulling your bike in a different direction to the one you would like to be travelling in! This attachment is made of metal with a big rubber bungee providing the flexibility in it for unexpected stops. The Arctic Wolf attachment fixes around your bike’s headset with a clamp which is tightened with a spanner and provides a strong point for the arm to be fixed to your bike. The rubber joint and metal arm can be screwed and unscrewed, making the arm easily detachable if you leave the metal clamp on the bike. This attachment is great for keeping strong dogs directed towards the front of the bike, although it it the heaviest of the attachments and it ‘bounces’ slightly with the movement of your bike. 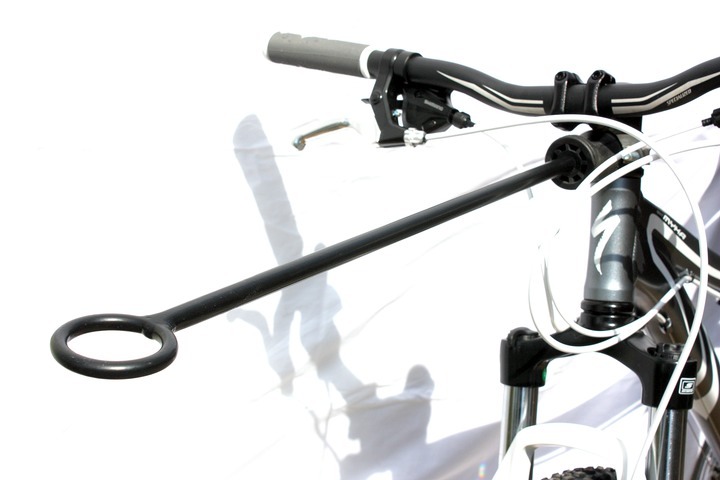 The Arctic Wolf Pro Antenna is much lighter weight than the other Arctic Wolf attachment and fixes to the bike or scooter frame with a connection that requires an allen key to tighten it in place and clamps neatly on the steerer tube spacers below the stem on most bikes or scooters, without the need to remove the stem. There is a strong coiled metal spring which provides the flexibility in the attachment if your dog moves to the side or stops. The Pro Antenna comes with a custom manufactured silicon channel to protect the paintwork on your bike so is a good one if you want to try and avoid damaging the frame! Non-stop’s Bike/Scooter attachment is very lightweight and is fitted on standard width bike or scooter headsets by replacing a spacer, which is quick and simple to do using an allen key. It is similar in style to the Arctic Wolf Pro Antenna with a strong spring coil to absorb shock and be flexible if your dog stops suddenly or darts to one side. The difference between the two is that this one does require a spacer to be removed on the bike or scooter, will only fit the standard frames and has a bigger ring at the end to accommodate a line with a wider clip. The Rower-land bikejor attachment fixes to the bike with velcro and webbing straps, which makes it very quick and easy to fit or remove the whole unit. Once it is strapped into place however, it doesn’t move at all and provides rigidity out the front of the bike to keep the line from dropping into the wheel. The attachment is make from a very strong plastic, which also has the benefit of being flexible enough to bend if your dog were to stop suddenly. 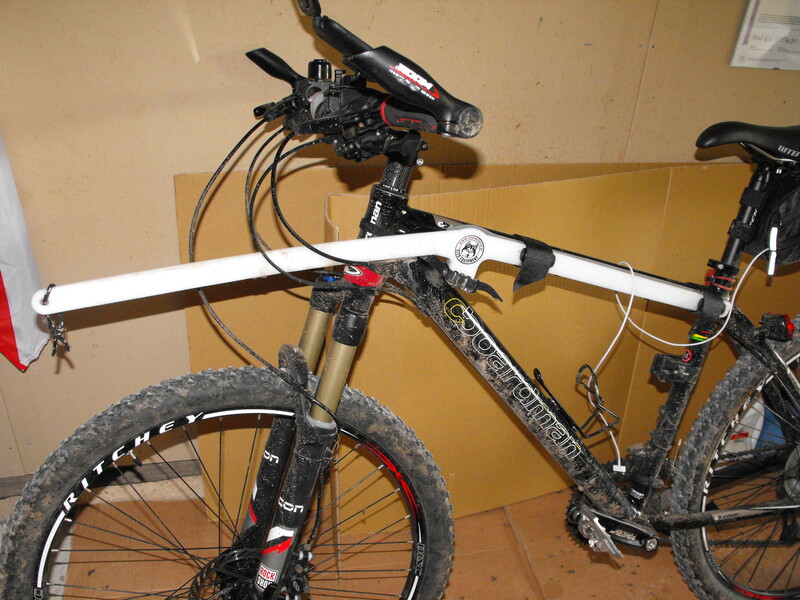 This attachment will not fit on bikes that do not have a standard, slightly angled, mountain bike frame, so you will have to check it will work with your bike. The Windog bike and scooter attachment is the most flexible of the attachments we sell and also the cheapest. It attaches using a very simple system of bolts and washers to fix to itself around the headset of your bike, meaning it will not mark your bike or scooter in any way. It has two different width settings but could also be adapted for thinner frames by using foam padding underneath. The Windog attachment is made of very pliable plastic covered in material, which gives maximum sideways movement to the attachment, whilst still holding you line away from the front wheel. This year I decided I wasn’t going to write a blog review for each race, as we have been attending too many races to keep up with it all, but I also didn’t want to let the events go unmentioned. My solution is to write a Race Review for each month, just to touch on the races and training we attend. This is the first installment and I appreciate it is a bit late but we have been very busy as you will see..
To kick things off we attended the Checkendon Training Weekend, Nr Reading, 6th & 7th September – A fantastic venue with a very technical course and this is a firm favourite of ours. Unfortunately (or not, whatever you opinion of it is) it was roasting hot pretty much all weekend and although we did some training, it was limited to short runs. I have to say though, the atmosphere at the Checkendon events is always very relaxed and social, so in fact this was a great start to our season. 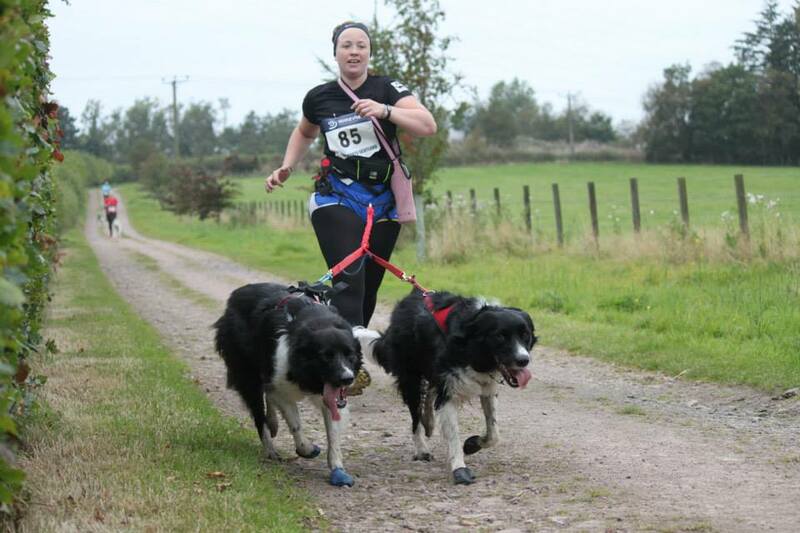 Then we wound our way up the West coast, stopping off for a holiday in the Lake District before finding ourselves at the Cani-Sports Scotland Coalsnaughton Races, 13th & 14th September – We are always welcomed warmly at these races and this event was exceptional! I cannot stress enough how friendly this event was and the venue owner spent the whole weekend looking after the competitiors every need. We were served hot bacon rolls and tea after racing and provided with a BBQ on the Saturday night all cooked for us, all that was asked of us was a small contribution towards the food which was donated to charity. Anyway, back to the race itself… I unfortunately hadn’t felt very well on the Saturday and so withdrew from racing but managed to get out on the Sunday to check out the long course. Again it was ridiculously warm and we struggled with the humidity (so much so I wasn’t even aware of what time I finished the course in) but the course itself was quite challenging with a big hill in the middle. The trails were mostly hard-packed paths and so I booted the boys up to protect their paws, which probably wasn’t necessary considering how slow we were going but I like to play it safe! I think everyone enjoyed the mix of woodland and farm tracks and I would be very tempted to make the journey again for this if it comes up in the race calender next year, because it was a particularly special venue with some of Scotland’s famous hills overlooking the farm. 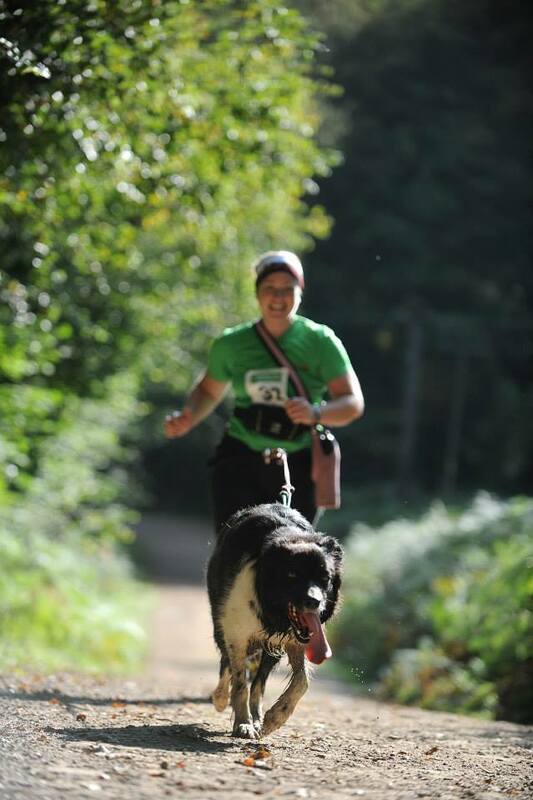 CaniX Bracelands (Forest of Dean) Races, 20th & 21st September – This is a favourite venue of ours and the race is based from a lovely friendly little campsite called Bracelands, set well within the Forest of Dean. The weather was not on our side for dog running and it was so humid on the Saturday, we actually walked most of the way, which I have never done before. There was the option to drop the dogs and still race solo but I don’t run without my dogs, so I opted to just take it really steady with one of my dogs each day instead. The Sunday was slightly cooler, although still too warm for the time of year and again we just plodded around to complete rather than race. I particularly like the course here because of the huge uphill to the finish, it sounds a bit strange but it is a real challenge and you get a sense of achievement at crossing the finish line! 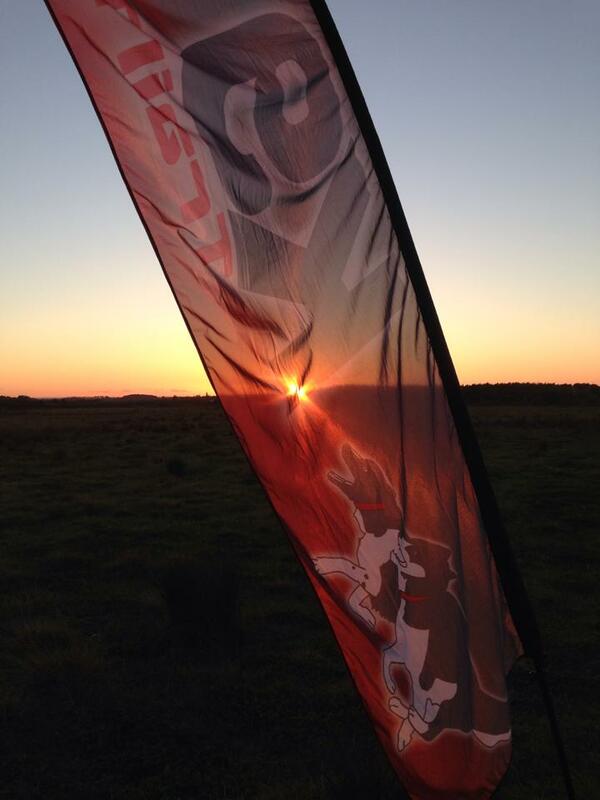 Checkendon Challenge, Nr Reading, 27th & 28th September – Our next event was to be our first wheeled event of the 2014/2015 season and so I was hoping for lower temperatures, sadly it was not to be. Although cool, the humidity was up above 80% both days and very dangerous for over-exerting dogs in. I made the decision to run the dogs but again we took it very steady, stopping for water and rest stops frequently over the 3 mile course. The fact the majority of this very challenging and technical course is in the woods did help but there was no way I could say we ‘raced’ this one, merely participated and used the event as training. So to conclude September’s Race Review, we battled against the high temps and humidity, took part in some fun and friendly events but did not have any success in ‘racing’ as such because the dogs welfare is always paramount whenever we take part in anything. With very little opportunity this summer to do any serious training it will be an uphill struggle to be competitive in any way this side of Christmas but it was nice to be back out and taking part in the events again, which we miss over the summer. I have made the conscious decision this season not to push any of us in the races, so September really was a good learning experience for all of us about taking things a bit steadier and just enjoying the experience! Since the clocks went back and the nights are drawing in, we have been waiting for the cooler temperatures to come so we can start using all our cold weather running kit. Finally this week we have seen the beginning of winter, which got me thinking again about what differences there are in our kit and routines throughout the colder months. This is a list (not exhaustive) of 10 things we do/use to make running just as much fun at this time of year. 1. Warm up – It is even more important when the temperatures are low outside to make sure you and your dog warm up before a run. Even a brisk walk up and down for 5 minutes before a run can be enough to get the muscles moving and therefore help prevent injury. 3. Get some trail trainers with good grip – There will be no shortage of mud over the next few months and so if you haven’t already, get yourself a decent pair of trainers with soles designed for deep mud, you won’t regret it. 4. Use a reflective harness – Many of the harnesses we sell have reflective piping or stitching to make your dog more visible in low light conditions. We particularly recommend using these if you are going to be doing any running near roads or on paths which are frequented by other dog walkers, to ensure your dog is safe and seen. 5. Fluorescent clothing – In much the same way as using a reflective harness for your dog to be seen, we change our running kit to include brighter jackets, gloves and even reflective bands, so that when out and about, you are as visible to others as you can be. We also recommend keeping a close eye on your dogs pads as the seasons change to look for any signs of damage. 7. Layer up – Although the temperatures have dropped, you can still get quite warm when you get moving and so it is worth dressing for your run in layers you can peel off if you do get too hot in what you’re wearing. There’s nothing worse than having misjudged the amount of clothing you need and either sweltering or freezing on your run. 8. Jackets or fleeces for the dogs – I have been criticised for ‘dressing up’ my dogs as I have chosen to get my pack matching fleece pyjamas, which make them stand out at events but there is a serious reason for my choice in dogwear and that is to help prevent injuries in the dogs. The use of a coat or fleece before and after runs helps to keep the dogs muscles warm. As I would normally have a jacket on before and after a run, I also make sure my dogs have a way to dry off and keep warm after running. If you don’t feel you need this for your dog, you can always just towel dry them to make sure they are not just left damp when it is cold. 9. Change of clothing – If you’re not running from home and have a car journey to take before you can get back somewhere warm, then it is useful to have a change of clothing available to help prevent you having an uncomfortable journey. 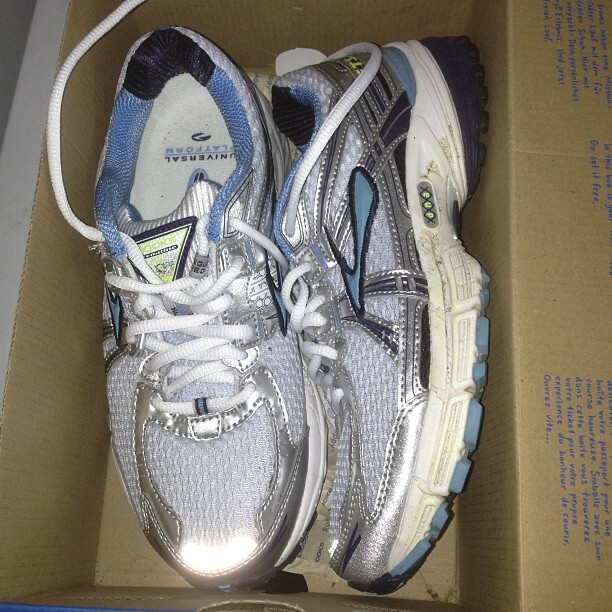 Even if it is just a fresh pair of socks and trainers, that can make a world of difference if you’ve got wet and muddy feet. 10. Take some fuel – Not literally fuel for your vehicle but fuel for your body. It has been proved that the body burns more calories when it’s cold and that applies to your dog too, so what a perfect excuse to take a flask of something hot and some cake along for after! Your dog will also appreciate some small treats post-run and we stock the Fast Dog Power Bon Bons which are perfect for this! 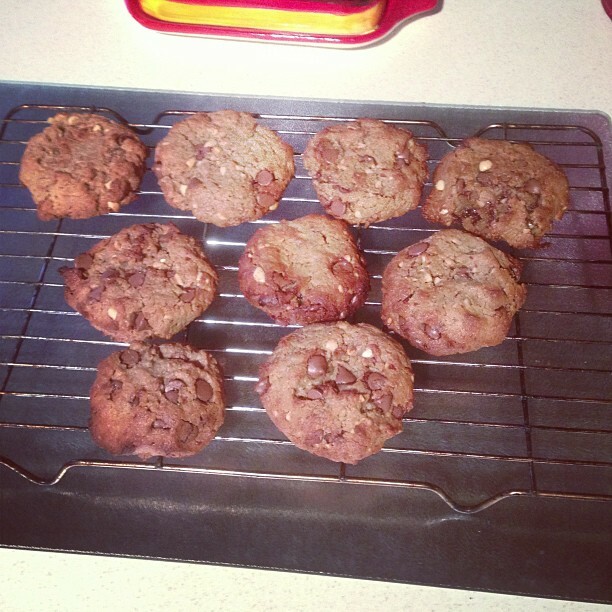 Winter – another excuse for treats! Whatever activity you’re taking part in this winter, remember to always put your dog first and make sure you both have as much fun as you do in the warmer months – Happy Trails!